Well the weekends spit pig was (thankfully) a great success. After postponing it a few weeks ago due to cyclones, poor weather and people being away we decided we would aim for Saturday 1st of March. 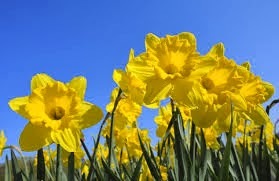 As not only was that officially the first day of here but it is St. David’s Day. Which for those who don’t know (whilst neither of us are actually religious) St. David is the patron saint of Wales, so this is our national day to celebrate all things welsh. So we always make an effort to have some traditional food, usually in the company of friends… so we thought this would be a great excuse. Not that a spit pig would exactly be traditional; although pork was a common meat right across Europe, at some stage every household would have had a pig (for purpose of the table). My Nan used to tell us stories of theirs when she was a little girl, I don’t think they’d have ate it all at once. SO this year in addition to our traditional faggots and welshcakes; faggots are a rissole/meatball made of pigs liver, onions and sage- varying recipes, cooked in gravy and usually served with mashed potatoes and peas. Welshcakes are a scone like dough made with spices and dried fruit, that is rolled and cut and then cooked on a bakestone or griddle until golden brown on both sides, but still slightly soft in the middle. Lovely served warm or the next day and always a hit. We had anticipated that he may have out grown our (purpose bought) charcoal spit, but not by this much! And it seemed a pity to cut half of it away (even though it wouldn’t go to waste). So with some last minute ringing around we managed to hire a larger, gas spit. Not only did this save our bacon (if not the pigs) it actually cut down the cooking time. I can take absolutely no credit for the pork on the day, the boys did an amazing job and the pork and crackling were a he hit. Accompanied by sage and onion stuffing and apple sauce; again not strictly welsh fair but still traditional to us. To our surprise it was actually some of our side dishes and bakes that had some unexpected attention. And not in a bad way, especially the corned beef hash and Matt’s sweet potato and peanut butter gratin. And if I’m honest the corned beef hash wasn’t an intentional standalone bake. It’s something we ate growing up as kids. A cheap meal, that was probably a throwback to the war; simply corned beef, onions (or in this case leeks- for added Welshness) and mashed potatoes. Initially I made this as a filling for my (ill fated) pasties. I cannot say why but the pastry just wouldn’t work, it just fell apart. Strange given I made it at the same time as a sweet shortcrust batch for jam tarts and ‘Welsh cheese cakes’. 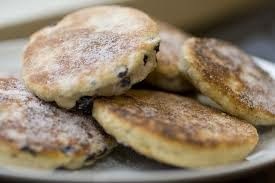 Welsh cheese cakes- I never actually knew what these were called growing up, they were just something my Nan made. Their just jam tarts with a cake mixture on top. But anyway back on track, the pastry just wouldn’t hold together to I placed the fillings in the fridge, joking that we would be eating cheese and potato pie and corned beef hash for a week. To which Matt suggested topping them with cheese and serving them as bakes/side dishes. To our amazement they were an unexpected hit! As for Matt’s sweet potato/ peanut butter bake I will have to get back to you with the exact recipe, but it always goes down well. Rub butter into dry ingredients with your fingers until breadcrumb like. Then fold through wet ingredients (beaten egg) and a dash of milk if required. And finally your fruit. Cut out discs and place onto a warm flat surface (not hot as the sugar and fruit will burn). Once golden turnover to cook the other side.